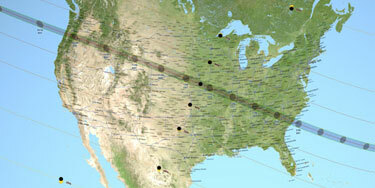 The records include dates and times, Cesario said, which makes them useful to modern-day astronomers. Scientists suspect the existence of Planet Nine because it would explain some of the gravitational forces at play in the Kuiper Belt, a stretch of icy bodies beyond Neptune. But no one has been able to detect the planet yet, though astronomers are scanning the skies for it with tools such as the Subaru Telescope on Hawaii’s Mauna Kea volcano. 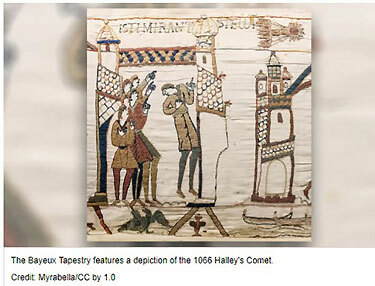 Medieval records could provide another tool, said Pedro Lacerda, a Queen’s University astronomer and the other leader of the project. You can find the time for your location here. 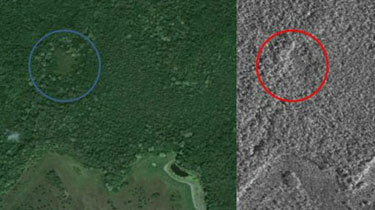 Gizmodo reports that a 15-year-old Canadian high school kid has located a lost Mayan city using star maps and Google Earth. Using an unprecedented technique of matching stars to the locations of temples on Earth, a 15-year-old Canadian student says he’s discovered a forgotten Maya city in Central America. 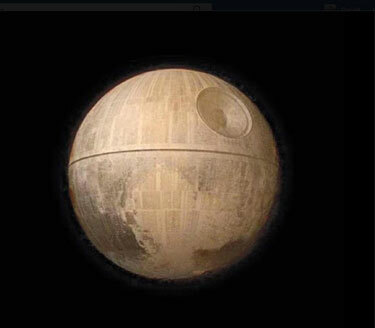 Images from space suggest he may actually be onto something. After studying 22 different constellations, Gadoury noticed that they neatly corresponded to the locations of 117 Mayan cities located in Mexico, Guatemala, Honduras, and El Salvador. When looking at a 23rd constellation, he was able to match two stars to known cities—but a third star remained unmatched. Using transparent overlays, Gadoury pinpointed a location deep in the thick jungles of the Yucatan Peninsula in Mexico. Original Post Updated: a number of people contend that the kid is wrong. 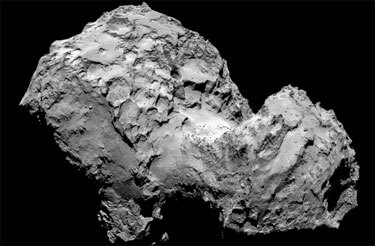 “[D]ata coming from the comet seems to unequivocally, in my opinion, point to micro-organisms being involved in the formation of the icy structures, the preponderance of aromatic hydrocarbons, and the very dark surface. J002E3 is the designation given to a supposed asteroid discovered by amateur astronomer Bill Yeung on September 3, 2002. Further examination revealed that the surface appeared to contain the paint used on the Apollo moon rockets. The object is probably the S-IVB third stage of the Apollo 12 Saturn V rocket (serial S-IVB-507). 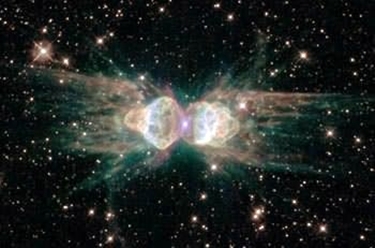 The Ant Nebula (Menzel 3): Fiery Lobes Protrude From Dying, Sun-like Star. click for larger image. Only 20 light years away. The discovery was announced today by a team of European astronomers, using a telescope in La Silla in the Chilean Andes. The Earth-like planet that could be covered in oceans and may support life is 20.5 light years away, and has the right temperature to allow liquid water on its surface. This remarkable discovery appears to confirm the suspicions of most astronomers that the universe is swarming with Earth-like worlds. We don’t yet know much about this planet, but scientists believe that it may be the best candidate so far for supporting extraterrestrial life. The new planet, which orbits a small, red star called Gliese 581, is about one-and-a-half times the diameter of the Earth. This new planet – known for the time being as Gliese 581c – is a midget in comparison, being about 12,000 miles across (Earth is a little under 8,000 pole-to-pole). It has a mass five times that of Earth, probably made of the same sort of rock as makes up our world and with enough gravity to hold a substantial atmosphere. Astrobiologists – scientists who study the possibility of alien life – refer to a climate known as the Goldilocks Zone, where it is not so cold that water freezes and not so hot that it boils, but where it can lie on the planet’s surface as a liquid. In our solar system, only one planet – Earth – lies in the Goldilocks Zone. Venus is far too hot and Mars is just too cold. This new planet lies bang in the middle of the zone, with average surface temperatures estimated to be between zero and 40c (32-102f). Lakes, rivers and even oceans are possible. It is not clear what this planet is made of. If it is rock, like the Earth, then its surface may be land, or a combination of land and ocean. Another possibility is that Gliese 581c was formed mostly from ice far from the star (ice is a very common substance in the Universe), and moved to the close orbit it inhabits today. In which case its entire surface will have melted to form a giant, planet-wide ocean with no land, save perhaps a few rocky islands or icebergs. The surface gravity is probably around twice that of the Earth and the atmosphere could be similar to ours. A spooky nebula for Halloween. the Archives of Never Yet Melted in the 'Astronomy' Category.